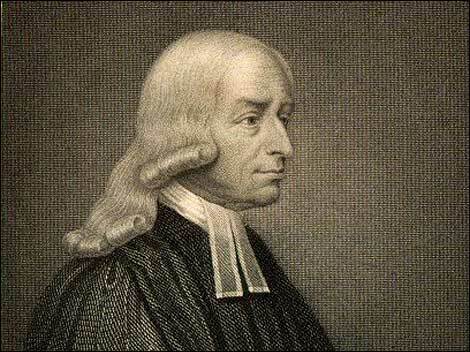 While George Whitefield sought to improve the treatment of African American slaves, John Wesley could see far more objectively: Slavery ought not to be merely adjusted or made more humane – it must be abolished altogether. Wesley had not come to this conclusion all at once. Like Whitefield, he was appalled at the treatment of the slaves he had seen in America, but he had not then thought it a crime. He later met John Newton, a former slave trader who had been converted and had quit the trade. But apparently neither of the two Johns had yet seen the need to oppose slavery. 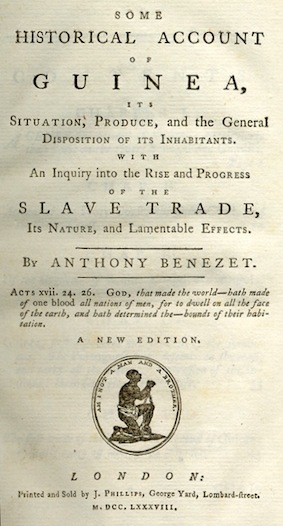 The change came when he read an account of slavery written by American Quaker, Anthony Benezet, which described in detail the reality of slavery. Wesley was horrified by the brutality and shamed by the heartlessness of such wickedness and became determined to go to print. ‘If therefore you have any regard to justice, (to say nothing of mercy, nor of the revealed law of GOD) render unto all their due. Give liberty to whom liberty is due, that is to every child of man, to every partaker of human nature. 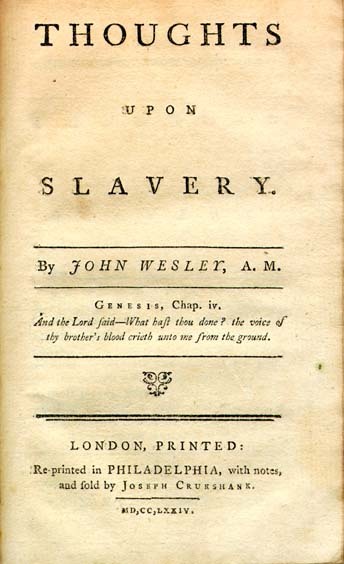 John Wesley influenced many of the major players in the fight against slavery in 18th Century Britain and America. In fact, his very last letter was sent to a young politician named William Wilberforce, who would spend much of his political life fighting for the abolition of the slave trade. 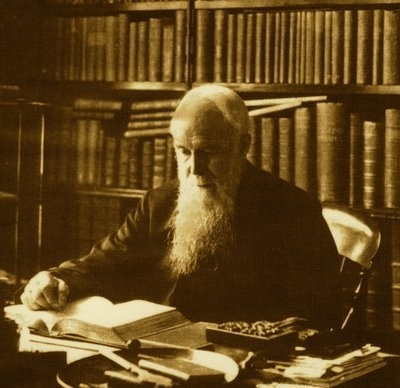 Unless the divine power has raised you up to be as Athanasius contra mundum, [an ‘Athanasius against the world.’] I see not how you can go through your glorious enterprise in opposing that execrable villainy, which is the scandal of religion, of England, and of human nature. ‘Unless God has raised you up for this very thing, you will be worn out by the opposition of men and devils. ‘But if God be for you, who can be against you? Are all of them together stronger than God? O be not weary of well doing. ‘Go on, in the name of God and in the power of His might, till even American slavery (the vilest that ever saw the sun) shall vanish away before it. ‘Reading this morning a tract wrote by a poor African, I was particularly struck by that circumstance, that a man who has a black skin, being wronged or outraged by a white man, can have no redress; it being a law in all our Colonies that the oath of a black against a white goes for nothing. What villainy is this! 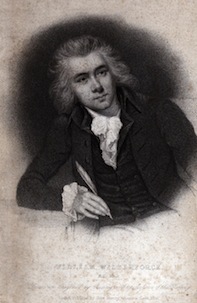 Wesley’s passion and encouragement, and his last letter, helped the young Wilberforce to fight successfully until the British parliament finally signed the Slavery Abolition Act in 1833. Why most good churches have Marriage Preparation Courses! Often absent for weeks at a time, Wesley gave his wife permission to open all the mail that came for him. This included many letters from women seeking guidance and counsel, and Molly soon began to feel that some of them had more than a little affection towards her man. Her jealousy increased, as did her sense of being overlooked by him, and even unloved by him. She began to be, not only troubled by but gripped by jealousy. She wrote disgruntled, critical, letters to him. She travelled to spy on him. She sent his private papers directly to his enemies that they might slander him. Eventually she publicly and repeatedly accused him of adultery over a period of twenty years. At one point, after a fierce exchange of letters, he sent a scathing, hostile, reply. On several occasions she left home, only returning after he begged her repeatedly. Although he had been unspeakably angry with her, he kept aiming at reconciliation. He should have consulted with Charles. He should have asked for the wisdom of other leaders. He should have been prepared for marriage. He should have considered his wife’s needs more than his own. In all this, the story of Wesley’s marriage is an unhappy one. But if it is uncomfortable for us to read, let’s not forget that it was far more uncomfortable for him to live. And equally uncomfortable for Molly, who, perhaps was merely hoping to have some of him for herself. Make sure you read Part One to get the context! If you feel you need help in your marriage, The Marriage Course, pioneered at Holy Trinity Church, London may be of help to you. Click here for links to the Course and to find one in your part of the world. Less than three years after his failed engagement to Grace Murray, Wesley was becoming interested in another potential wife. His unwillingness to consult with his brother Charles in this new romance was completely understandable. But, of course, it is exactly what he should have done. His reluctance to take counsel on this vitally important decision was to lead to twenty years of unhappiness both for him, and for his future wife. Molly Vazeille, widowed for three years, but wealthy, had shown an interest in spiritual things and Wesley wrote to her in 1750. Charles Wesley and his wife, Sally, already knew Molly and were not impressed. John, however, was impressed and said as much to her in what he probably considered a glowing letter. He said he appreciated her ‘industry’, her ‘exact frugality’ and her ‘uncommon neatness and cleanness.’ She must have been beside herself with delight! He was careful to add that this uncommon neatness and cleanness extended to her person, her clothes and to all those things around her! He merely announced to Charles and Sally his intention to marry. Charles was ‘thunderstruck’ and filled with dread. 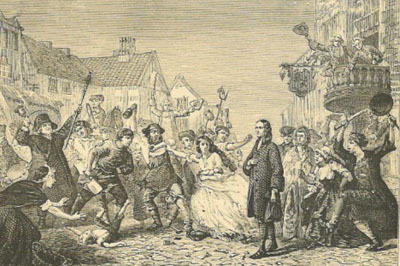 In mid-February 1751, just a couple of years after the Grace Murray disaster, John Wesley was married. If his attempts to woo the woman he loved seemed rash, on the one hand, or boring, on the other, things were about to get much, much worse. Although the ‘unofficially together’ couple were companions on a number of speaking tours, with Grace counselling the female society members, there was a major problem. She was promised to another! 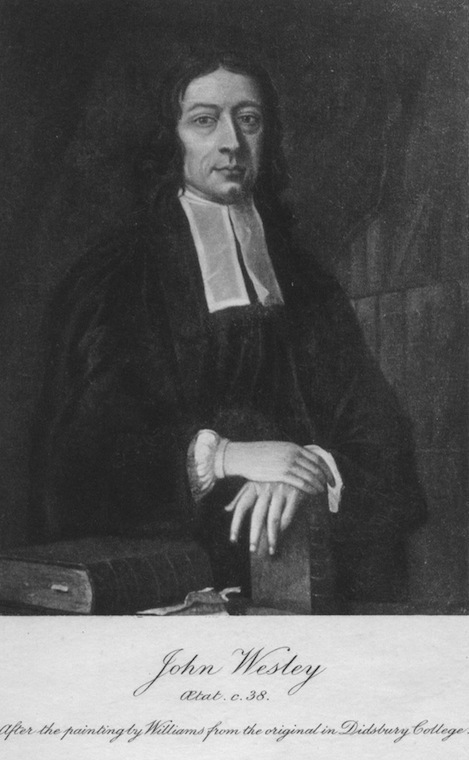 John Bennett, probably Wesley’s most successful itinerant preacher, a committed Calvinist, was also interested and had already exchanged love letters with Grace. He too felt that she had shown him some signs of love. John and Grace continued travelling together, and also with Charles at one point. He had no idea of John’s affection for her, and considered her almost as one of the servants. Grace herself, had not taken Wesley’s former expression of love as binding, or as evidence of an engagement, and so kept up her correspondence with John Bennett. John, John! Put down your book on the Plague of London and win the lady!! When John finally revealed his intentions to his brother, Charles was so shocked that he immediately sought to intervene. These two men, who along with Whitefield and others, were turning a nation to God, were completely at a loss when it came to women. Charles had met his bride and John had married them. Surely Charles would now reciprocate! Not at all! When John declared his love for Grace, he was rebuked. To cut a long soap opera story short, without Wesley’s knowledge, quite suddenly and at Charles’ insistence, Grace was married to John Bennett in Newcastle. John was understandably upset. 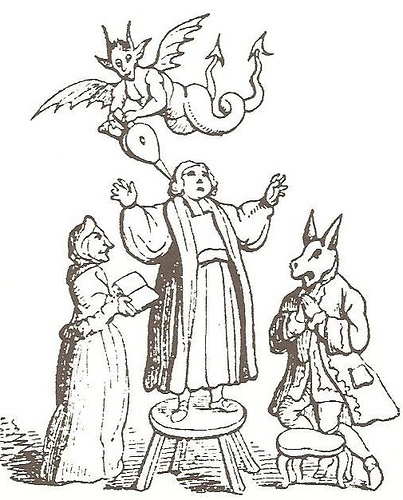 At first he refused to meet Charles, but George Whitefield, probably the only person who could, brought them together. They exchanged furious words, as Whitefield wept silently. Finally the two brothers embraced. Mr. and Mrs. John Bennett, the newly married couple, were also brought in that all might be reconciled, but Wesley undoubtedly bore the weight of the reconciliation. After the meeting, alone, in deep sadness, Wesley rode silently away. By the late 1740’s both John and Charles Wesley’s thoughts turned to marriage. ‘JW and CW, both of them, are dangerous snares to many young women; several are in love with them. Charles was married in 1748 and had, as it happens, a long and happy marriage. Things would work out slightly differently for John. Grace is in the air! 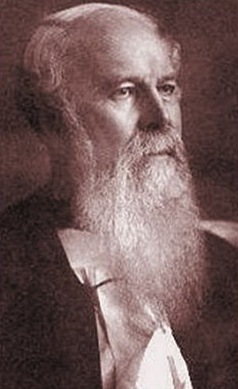 John Wesley had appointed Grace Murray, a Geordie, a new convert, a competent leader and a widow, to oversee the Methodist Orphanage in Newcastle Upon Tyne. He was clearly taken with her ability. She was firm, efficient, and, upon his arriving in Newcastle sick on one occasion, wonderfully caring. Surely she was the kind of woman who could be his wife! 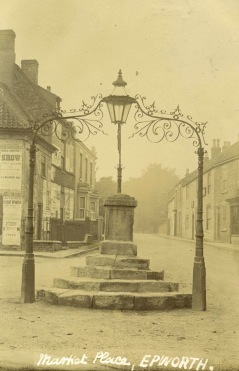 Wesley soon recovered from his illness and made plans to travel down to Yorkshire. Grace, being unwilling to so quickly separate from him after their new found love, convinced him to allow her to ride with him part of the journey. Wesley, apparently undistracted by the presence of his new found love, quietly read Hodge’s ‘Account of the Plague in London’ as they travelled silently on. We continue the amazing accounts of grace given to those condemned to death in the 1700’s. John Wesley recorded these testimonies of men facing execution, in his own journals, giving them a wider audience than they might have otherwise had. They had been faithfully visited by Sarah Peters. She shared the gospel with them and many were genuinely converted. ‘The next who was spoken to was Thomas Atkins, nineteen years of age. 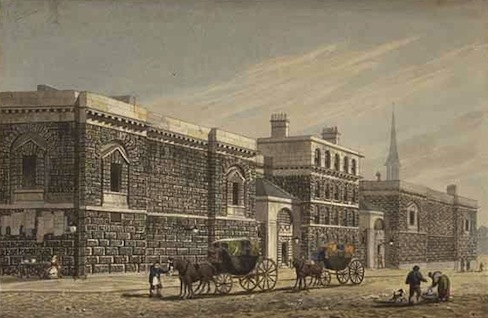 ‘William Gardiner, from the time that he was condemned, was very ill… [Sarah Peters] visited him in his own cell, till he was able to [move about]. He was a man of exceeding few words, but of a broken and contrite spirit. Some time after, he expressed great readiness to die, yet with the utmost diffidence of himself. Ever met someone who could give such a tongue lashing that you were nervous of even saying hello? Well, one poor husband who endured such rebukes for many years found himself in a tight spot – in court. His wife had suddenly stopped her verbal attacks and became considerate and mild – but the husband still wasn’t happy. What was the cause and what would the Judge say? ‘But when asked what they had done, there was a deep silence; for that was a point their conductors had forgot. 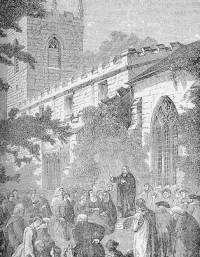 In December 1742 John Wesley and trainee leader Thomas Meyrick travelled to the North of England to preach the gospel. 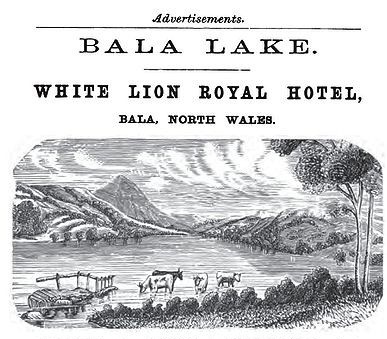 It was a bitterly cold journey and they both became ill. Meyrick’s sickness, however, took a turn for the worse and twice he was feared dead. Wesley tells the story of this particular event in his journal. Mon 20th…they told me the Physician said, he did not expect Mr. Meyrick would live till morning. I went to him but his pulse was gone. ‘He had been speechless and senseless for some time. A few of us immediately joined in prayer: (I relate the naked fact) Before we had done, his sense and his speech returned. Keep praying and never give up! 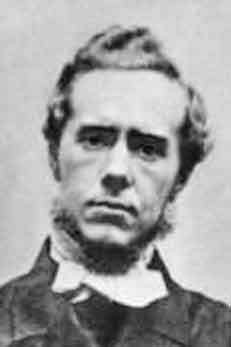 Sat 25th Dec. ‘The Physician told me he could do no more; Mr. Metyrick could not live over the night. I went up and found them all crying about him; his legs being cold, and (as it seemed) dead already. ‘We all kneeled down, and called upon God with strong cries and tears. ‘He opened his eyes, and called for me; and from that hour he continued to recover his strength till he was restored to perfect health. You might wonder what happened next – especially as he sank back into sickness after the initial bout of prayer. Well, he did indeed recover and live a further 28 years, finally dying in 1770 (see here). Prayer is not automatic. We come to a Person, to God the Father, who knows our need. But we can come with strong encouragements that He hears us according to His purpose and will.